I took Lynn Sherr's SWIM on my Kindle to Paris to motivate me to hit many of Paris' community piscines. 'We swam before we walked or breathed, but then we forgot. The same thing happened outside the womb:swimming was practiced regularly in ancient times butvirturally disappeared for centuries'. Paris has 38 public pools! They are extremement well run. This online chart tells you daily which pools are open and hours. After my Paris bus guide this is my bible. Metros, velib stations, buses, free classes etc. The entrance to St. Germain 12, rue Lobineau 75006 is a hop away from Patisserie Gerard Mulot. Every pool has vending machines selling cheap caps, bathing suits, goggles, everything but towels and flip flops/les tongs. So don't tell me you left your stuff at home. 'Pools used to be called tanks, whether they were actual tanks full of water or just holes in the ground. What you wore in a tank was 'a tank suit'. At St.Germain they give you a hanger for your clothes. You hand it back to the attentant but wear the red rubber bracelet into the pool. Post-swim you hand in the bracelet and get your stuff back. et voila! St. Germain is huge and very clean! All of the pools I visited were the same. I felt like Burt Lancaster swimming my way across Paris' pools. Illustrated charts of dos and DON'TS. At piscine Keller 15th arr. you get duck instructions. The entry way at Keller -very orderly. This is piscine Butte au Caille in the 13th. Once famous for using fresh water but someone said this is no longer true. Still a gorgeously huge and clean pool - altogether a delight. The pool attendent noticed my bathing bag. 'But it's $$$' I responded. Listen to your pool attendent. All pools have hair dryers though the changing room systems vary from pool to pool. The tarifs are low 3-4 euros a swim. Better yet get a card for 10 swims. This summer I'll get the 3 month card and hit as many pools as possible. Anyone can swim. You don't have to be a resident or French. Gerard Mulot (open at 6:30 am) is just down the block from the pool. Pierre Herme is 5 minutes walk away. You can happily 'reward' yourself for a good workout immediately post-swim = Instant gratification. If you love swimming - (Lynn Sherr notes, it's the best of all exercises and I agree) don't miss her celebratory book, SWIM. It will get you into the water in Paris or at home. an inquiry into why we swim—the lure, the hold, the timeless magic of being in the water. It’s a look at how swimming has changed over the millennia, how this ancient activity is becoming more social than solitary today. It’s about our relationship with the water, with our fishy forebearers, and with the costumes that we wear'. Listen to Lynn tell you why to jump in. you offer not only Paris breakfasts, but so much more, and always with not only a touch of class, but such great humor, you truly make my day! I bet you have gorgeous public pools in Vienna..? Vienna has the most beautifully located public pools I ever encountered. Country Clubs in the USA would be envious, no kidding! this is "mine" - where I live. this one probably has the best view of the whole city of Vienna, also a huge park-like area not shown. Pools are truly fantastic here. Hello, I just opened a new blog. I got back from Paris recently, so love your reminders...I used to be a daily swimmer & would find pools wherever I was. Glad you can swim in Paris. Love the direction poster & that the pools are good. I'm going to be taking a Dewey workshop in July, grâce à toi. Merci. These pools are so luxurious..I still remember the smell of swimming in indoor community pools..Loved it..loved the diving boards..even the chlorine smell. Those are lap of luxury pools carol..Good for you .. I don't know why but they seem very clean to me. In Paris Socialism is luxurious! It all looks very efficient. I do love swimming--I used to go religiously every day and swim about a mile and a half a day--I could eat whatever I wanted, because I was really fast, and I burned tons of calories. I used to use the fins and the hand paddles and that styrofoam thing inbetween your knees to float with--I got a real workout, but I don't have an inexpensive pool nearby that is as convenient as when I was in VA, so I haven't done that in ages. I loved it, though. Good for you--checking out all the Parisian pools. They look great. Are they super crowded, or can you get a good lane to use? Pontoise was the most crowded but the huge size makes up for it. That`s one thing I always noticed about Parisienne movies, is that it seemed like everyone swam at public pools regularly. I wonder what it is about swimming with parisiennes? How it became such a custom, you don't see that in north america. Any idea? I can smell the chlorine! Yesterday, I could not post; today I am changing identity to see if I can post. NO CHLORINE smells at Paris pools! Do you do laps with various styles or ??? This was a very useful post. And a private swim is easier than trying to understand the French of your pilates instructor. I've been doing it for 8+ years. You don't need an instructor or even the belt after a bit. Water aerobics is BIG in France for all ages. You might be interested in the early '60's film "Les Bonnes Femmes" by Claude Chabrol and its major pool scene (3/4-way through). It's a wonderful film about 4 young women in Paris. Part thriller, pt. character study. Fun to see the neighborhoods, the zoo, etc. I'm a big fan of '60's Paris seen in the films of Godard, Truffaut, etc. This is a movie "Mad Men" producer M. Weiner used to research the fashions of ordinary people in the early '60's. I wonder how the pool in that film compares to today's Paris pools. They don't look dissimilar to me. The movie is on Netflix and probably can be rented at a good video store. Was the author of the pool book you talked about THE broadcaster? you are too wonderful and i love you and your blog endlessly. just curious about la piscines...are you a swimmer or just facinated with pools. If you like them half as much as you do macaroons, well then I totally understand and do not even respond!! I would have to LOVE pools to go to the bother of visiting 4 in Paris and sneaking photos.. I HAVE to go to the pool for sciattica and it's my exercise of choice. It's sooooo relaxing and I get a lot of ideas in the pool. I've posted before on PB about swimming and pools. This is not the 1st time. I went to the public pool in Bordeaux and it was MAGNIFICENT! If you love the water you just do what they require. Thanks for bringing delight to all of us during the past years. 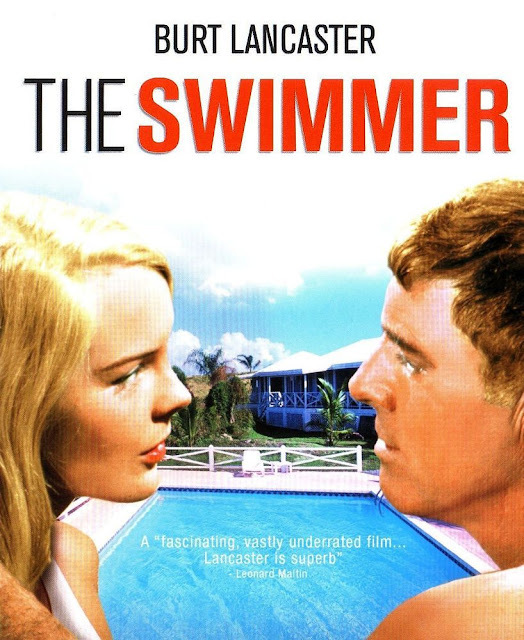 Made me happy to see your shout out to The Swimmer...one of my favorite movies. Very very Mad Men-esque. Il n'y en a pas trop de peepee la? Carol, you made me go and count Vienna's public pools: 49! Wow. The pools in Paris seem much more cool than in London. We have a lot of chlorined pools with horrible changing rooms. I love your post on swimming. I took swimming lessons at 56 years of age. Today, 2 1/2 years later, I'm still taking lessons but they are to qualify as a lifeguard. I LOVE taking swimming lessons. For one thing it keeps you from gtting bored in the pool so quickly if you focus on your strokes etc.. Yes, swimming lessons are great. They do keep you in touch with all the strokes. Having learnt to swim at 56, I'm always fearful of the water. My swim instructor thought that learning life-saving would help me overcome this fear and be more confident and he is right. My lifeguard test is scheduled for Aug 12 2012. Fingers crossed. very common to be afraid of breathing underwater yet we do it in the womb and don't think twice. HOw did we lose that knack? I love this post about swimming. You really explain things in a funny and entertaining way, but it's not partronizing or useless or something that everyone writes about like lots of other blogs that explain how to do things in Paris. I'm going to try to get D. to go this weekend. I think if I get someone to walk me through it and be by my side, I will be able to go by myself and will buy a pass. I'll find out how many times a day you can swim too! With all those huge burritos in my future I am going to need to swim a lot of laps.